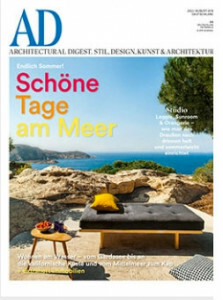 AD Architectural Digest Germany is regarded as the leading magazine for quality architecture, design and lifestyle. Each issue will leave you fascinated by the magazines high level of quality and originality with stunning images and excellently researched stories. Sophisticated architecture, luxurious interiors, inspiring living concepts - diversity of AD is one of the topics of the modern lifestyle.